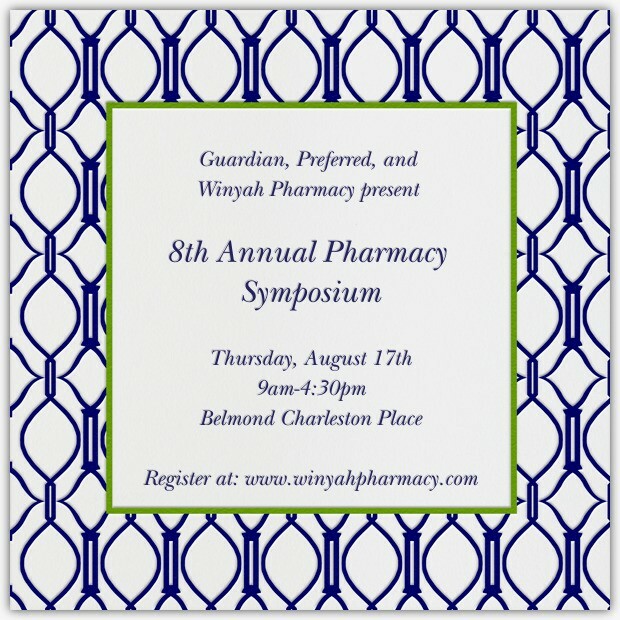 Please join the Winyah Pharmacy team in Charleston, SC for our 8th Annual Pharmacy Symposium! The symposium will be held at Belmond Charleston Place on Thursday, August 17th from 9am-4:30pm. This year’s speakers will present on current hot topics in Long Term Care. Main topics this year will focus on portions of the Mega Rule to include infection control, dementia and leadership topics. Attendees will also be able to mingle with our pharmacy vendors, drug vendors, and peers from South Carolina, North Carolina, and Georgia! Administrators and nurses can earn up to 6 CEU’s for the event. Join us the evening before at the Peninsula Grill for a dinner hosted by Avanir. To attend our event, please register by clicking here. Winyah Pharmacy hosted their 9th annual symposium at The Belmond Charleston Place in Charleston, SC on August 16, 2018.